Today’s society feeds us with thousands of different impressions a day. “Look at this product”, “this product is the best”, “this product can be custom made for you” or “this product is cheap and high quality!” But, who do we trust? And who can we rely on to give us the correct information? We all remember the classic funnel: Marketing and sales work together in order to produce a customer at the end of the funnel. 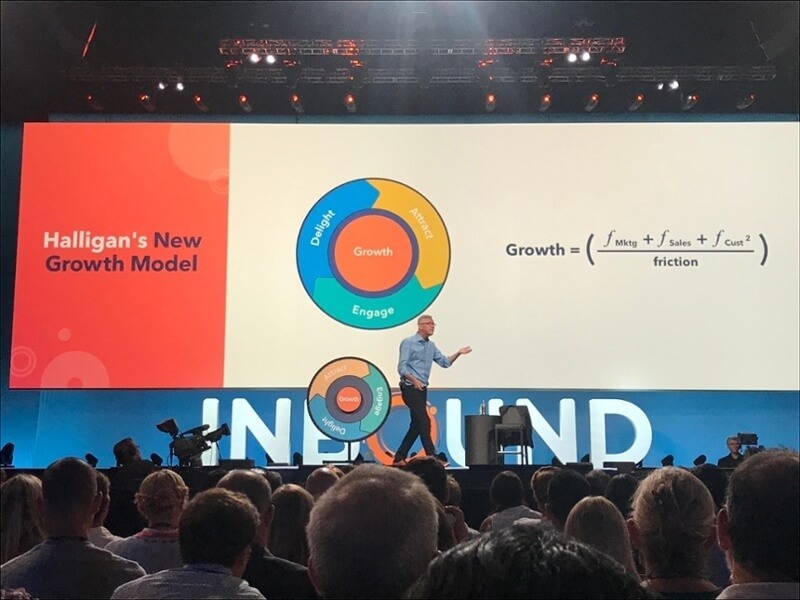 However, in 2018 Hubspot has scrapped their old funnel and instead introduced us to the flywheel. James Watt introduced the flywheel to the world 200 years ago. What’s so great about it? It is incredibly energy efficient and uses momentum in order to store energy. The amount of energy it stores depends on how much energy you use to spin it with (adding weight and friction to the equation, of course). This is Hubspot’s new “funnel”. You recognise the three parts: attract, engage and delight. What stands out is that the customer is no longer a product of the funnel. Instead, the customer is the main focus of the flywheel. Which means: Everything we do is supposed to correspond with the customers. Engage: This is where we engage with our prospects in order to close deals and start projects. The secret ingredient to make the flywheel go faster and faster is friction. Or actually: no friction. 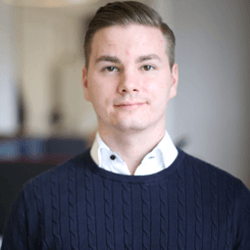 Read more: HubSpot has killed the funnel – but is the replacement simply old wine poured into new bottles? When our flywheel is in full spin with marketing, sales and delighting customers we really don’t want it to slow down (meaning: slow our business down) with unnecessary friction. Our main focus should be on making the delight process friction free in the first place. Friction can be described as anything that causes processes to slow down. By eliminating as much friction as possible we can make sure that our company runs smoothly like a well-oiled machine. As we wrote at the beginning of this article word of mouth is the best method for marketing, and by making sure our customers are delighted we can capitalise on this type of marketing. And it’s easy! All we have to do is to making our customers happy (which is what we set out to do in the first place!). So in order to delight our customers and turn them into promoters, we need to eliminate friction from the equation. This means that we need to make sure the customer experience is as good as it possibly could be. Start examining your organisation and look for key points where friction is high and try to correct it. Can we get rid of friction through reorganising our teams? Can we minimise friction trough shared goals? Simply put, by using the flywheel as our new business model and really giving it all in order to eliminate friction and produce a great customer experience, we can capitalise on the best marketing method ever by delighting customers with spotless customer experiences. In today’s world, where we are being bombarded with different messages, the customer is no longer to be seen as a product of our sales, marketing and services. Based on the new flywheel model released by Hubspot, we now look at customers as the central aspect of our entire operation. The flywheel consists of attracting, engaging and delighting. Many resources should be spent on the delight stage in order to turn our customers to promoters and maximise the amount of word of mouth marketing for our company – which undoubtedly is the best type of marketing. Want to learn even more about how you can ensure a better customer journey, close more customers and delight your existing customers? Download our guide to inbound marketing and sales – for free, of course.